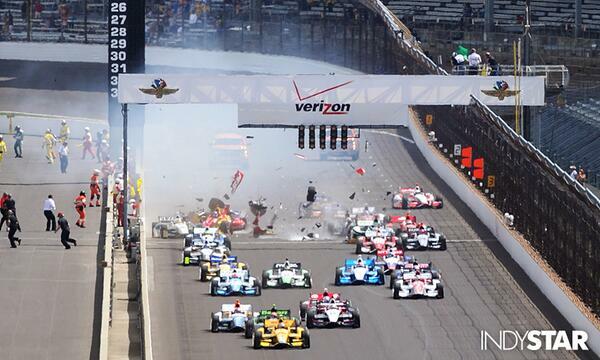 On cold tires, Newgarden had a little wheel spin coming out of the Fountain Turn (Turn3) and RHR placed his nose diving into the apex of Turn4 causing a crash into the wall and collecting several drivers ... ending the races of Newgarden, Himself, Hinchcliffe, Kanaan, and etc. causing Andretti Autosport team-mate Hinchcliffe to say on a post wreck television pitlane interview: "a rookie move" "sad for Newgarden, TK etc." RHR was a total goat for the move and he even had his team owner, Michael Andretti, was visibly very upset at messing up what would have been a double-podium finish for his team at the 40th running of the Long Beach Grand Prix. 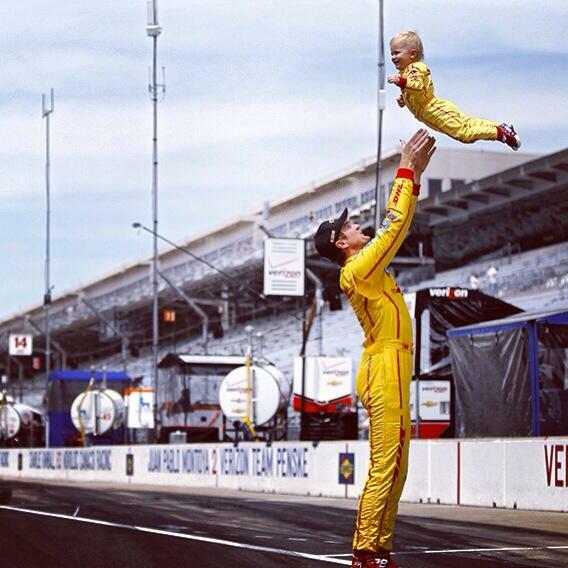 Of course ... Ryan Hunter-Reay, at the time, did not apologize. Enter Alabama and the reworked, and famed, "Month Of May" at the Indianapolis Motor Speedway which, for the first time, featured a dedicated road course race, The Grand Prix of Indianapolis, and The Greatest Spectacle in Racing ... the Indy500. So far, so good for RHR who was looking to redeem himself ... but was still points behind Penske Racing's Will Power who had benefited from Ryan's "rookie move" at Long Beach with the win and a strong position on the VICS season points lead. So there is a fully redeemed Ryan Hunter-Reay in the VICS season points lead with Andretti Autosport team-mate James Hinchcliffe pulling a "rookie move' to change the complexion of the entire event. The finishing drivers accomplishments in the top ten positions reads like a Who's Who in American motorsport racing at its highest levels. 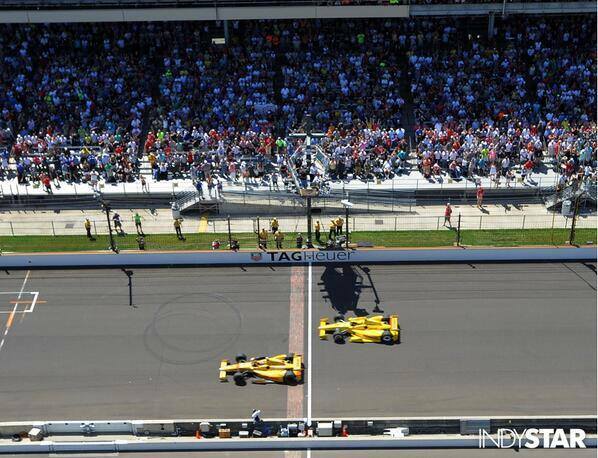 What a grand race for the DW12 era - Ryan Hunter-Reay and 3-time Indy500 winner Penske Racing's Helio Castroneves battle the last six laps to the end with RHR taking the win by the 2nd closest margin in 98 years. Look at the names in the top 10 as well - Marco Andretti on the podium, Andretti Autosport's Carlos Munoz gets a 4th after finishing last year in P2, Penske Racing's Juan Pablo Montoya ... fresh from NASCAR finishes ahead of NASCAR driver stand out Kurt Busch who, again, drove a car fielded by Andretti Autosport. Four-time ChampCar World Series Champion Sebastien Bourdais at 7th followed by Penske Racing's former 2014 points leader Will Power ... who seems to be getting the hang of ovals, last row starter and Mazda Ladder rookie Sage Karam in 9th with J.R. Hildebrand in tenth who was going to win last year's race until he hit the wall on the last corner of the last lap handing the win to Tony Kanaan. 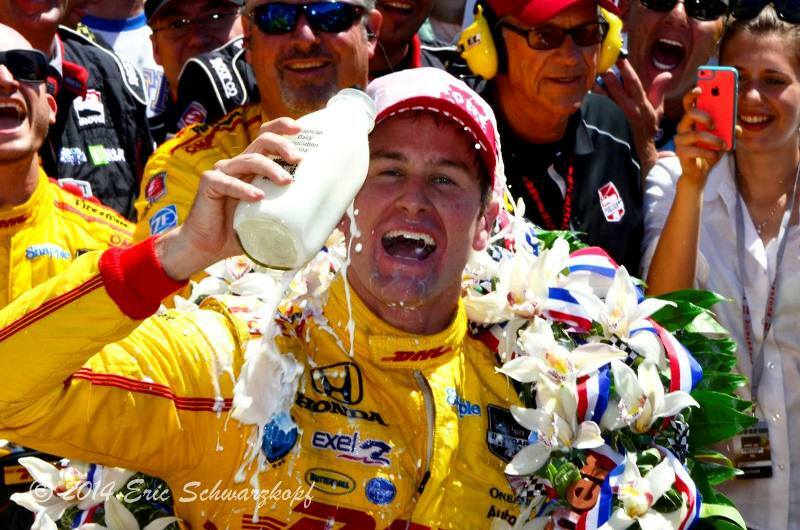 Ryan Hunter-Reay can now lay claim to something that Helio Castroneves can not say for himself ... with this win during the "Month Of May", RHR has an Indy500 and an IndyCar season championship in his trophy case ... nice move! I had the pleasure of meeting up with Hank Williams at the recent “2nd Annual Tribute to Carroll Shelby” held in Gardena, California. Williams was an aspiring musician in the 1950’s when he determined that, “there was no future in it”. Working at USC County hospital gave him enough money to acquire his first true sports car, a black MGA, which required some work. Taking night classes at a local school he learned metalwork and was able to fix it up. After joining the local sports car club he discovered that he was competitive in slalom-style events. Around this time he was becoming frustrated with the lack of performance the MGA had and soon found a 1963 Healey 3000 Mk III. Once he stiffened it up he started winning events. By the early 1960’s he became good friends with a young lady from Oklahoma whose family was in the oil business. Her allowance and his salary gave them a good lifestyle. His hard work and talent was paying off in the competitive events when he noticed the Cobras that were turning up. 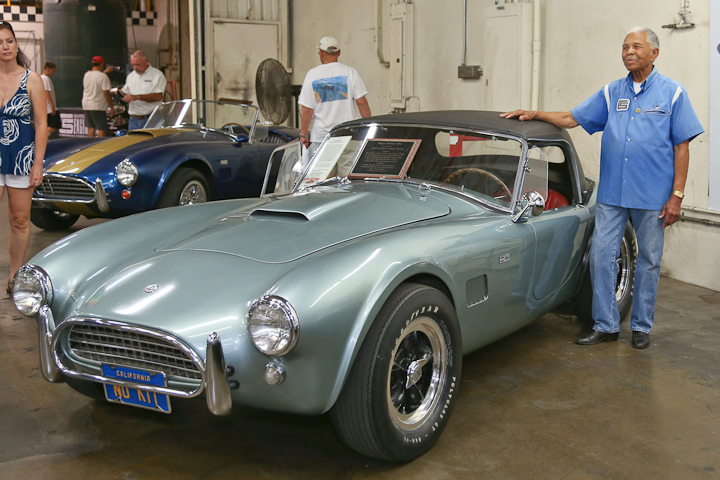 In 1964 he saw his Cobra at Norman Ford in Pomona. Possibly because he is an African American he was told that in order to purchase the Cobra he needed approval by the dealership, required cash, and due to safety considerations needed to pass a high-performance driving class (this was a Shelby American requirement). By this time he had his his SCCA license and was considered a professional race driver. One obstacle down and two to go. Thanks to some assistance from his lady friend he was able to show up for one more “negotiation” with the $6,390.00 needed in hand. After that it was relatively easy for him to get “dealership approval” and in December he drove out of the dealership in his new Cobra. 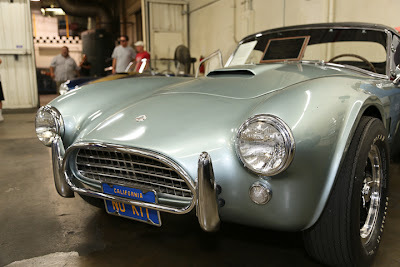 Like all original Cobras Williams’ car (CSX-2227) was assembled by AC Cars in England and shipped sans motor, transmission, and differential to Shelby’s Venice California facility. 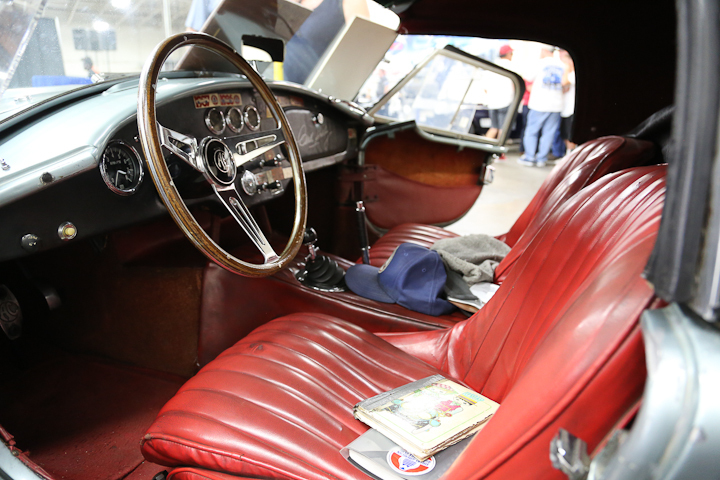 The original order called for “Princess Blue” with Red interior, 1 of only 3 built in that exterior color. Although not an official Shelby color it was an AC Cars color and the car contains a certificate stating that fact. For reasons unknown by Williams the color on his car is not true “Princess Blue” but more of a metallic silver-green shade. The Cobra has over 140,000 miles on the odometer and shows a patina that comes with 50 years of driving. Although given a repaint in 1980 the car has never been to a body shop, rare for any car that age and even rarer for a Cobra. The car is all original down to the brass brads that attach the headlight bezels to the fenders. Williams states that due to its originality it is used as a benchmark when judging other Cobras at Concourse events. Under the hood is the original 289 V-8 that has been rebuilt by Marvin McFee. The only competition modifications done were; “I fitted five-spoke American Mag wheels, headers, a 715 Holley, and modified the exhaust to the side. Those English Armstrongs (shocks) were quickly swapped for Konis. I bought all the bits from Shelby American and did the work myself.” All the original parts he took off are still in his possession enabling him to bring the car back to original, as sold, 1964 specs. The Cobra was a daily driver into the early 1970’s. After that time it was used solely for competition events until 1979. 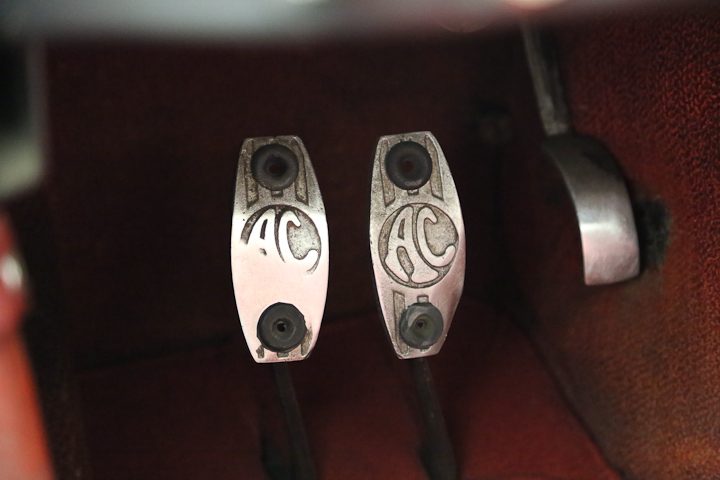 Williams gave up using the Cobra in competition and started attending Shelby American Automobile Club (SAAC) events. 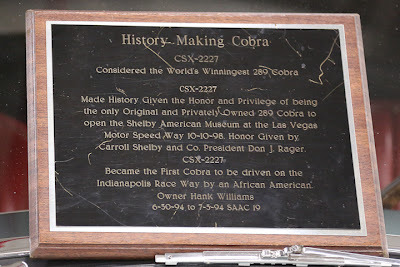 The car is considered the “worlds winningest 289 Cobra”, had the honor of being the only original privately owned 289 Cobra at the opening of the Shelby American Museum in Las Vegas, and made history when it was the first Cobra driven by an African American around Indianapolis Motor Speedway. Mr. Hank Williams considers the car a keeper and has no intension of parting with it. One of the reasons, “It’s always a hit with the ladies”. Did he trailer the car to the event? No, he drove it from his home near Rancho Cucamonga, about 65 miles away. Last weekend, Speedway, Indiana hosted the first of two racing events that it hopes to package and fuse into an annual "Month Of May" motorsports celebration. The Indianapolis Motor Speedway (IMS), famous for the endurance test and race that grew into the INDY 500 reworked the Formula 1 road course and the Verizon IndyCar Series held its first race on the 2.434-miles 14 turn infield road course that utilizes a portion of the famed IMS oval as part of the circuit with racers driving Turns 1 and 2 of the oval as well as the a long portion of the front straight ... in the opposite (clockwise) direction. When the race broadcast and venue is watched on phones, tablets, computers, and television screens one is struck by the unfamiliar familiarity. The Dallara DW12 cars belong here at this track but they look oddly different heading down the front straight with the famed Pagoda on the car's right hand side. 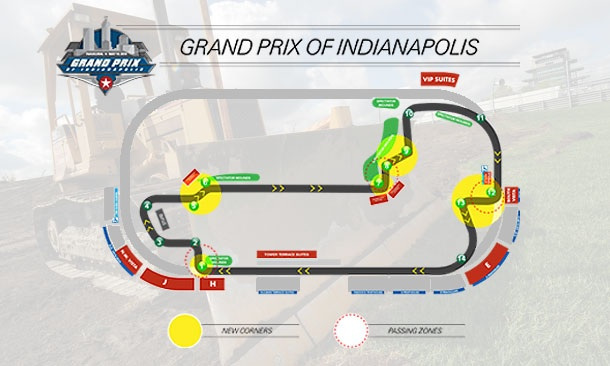 For those fans that have followed American open wheel racing over this last 10 years or so, this track layout plays on broadcast a little like the Portland International Raceway in Portland, Oregon. The G.I. Joe's Grand Prix of Portland was a Champ Car World Series race that was last held through 2007 and this venue still holds the record for the closest road course finish in Indy car racing history. 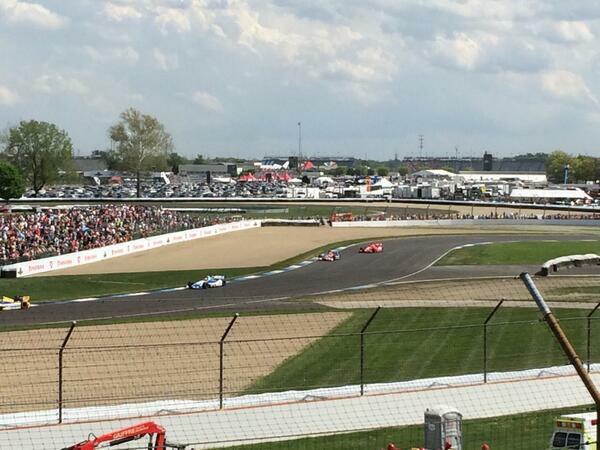 The pace and feel of a race on the road course at INDY felt a lot like watching a race on the Portland track only much larger to scale (the race held a Cleveland's Burke Lakefront Airport also qualifies ... but not as tight). The long front straight flowing into a contentious right-hander, followed immediately by a left with some speed at the end and, of course, some dodgey esses to contend with. IndyCar's month in the motherland starts strong. 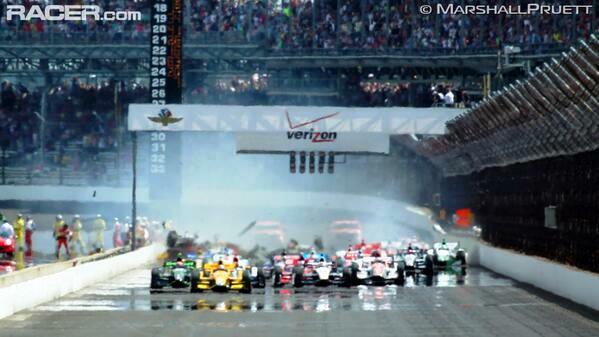 According to the experts on the Internet, IndyCar’s inaugural Grand Prix of Indianapolis was destined to fail from the beginning. What some called an exercise in trampling more than 100 years of tradition at the Indianapolis Motor Speedway—where Indy cars had only run on the 2.5-mile oval since 1911—the GP of Indy, run on a revised road course, was an unqualified success. 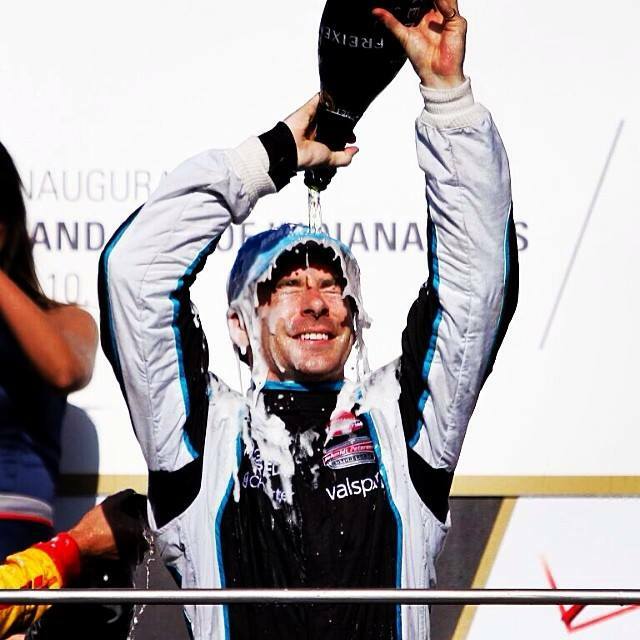 Fans, the Indy traditionalists maintained, would reject the event, but something north of 30,000 people turned out in beautiful weather to watch Simon Pagenaud put in a picture-perfect drive to claim the win. It marked the Frenchman’s third Verizon IndyCar Series win in less than a year, and proved that even in the huge shadow cast by IndyCar giants Roger Penske and Chip Ganassi, a modest operation like Pagenaud’s Honda-powered Schmidt Peterson Motorsports outfit can play the role of giant killer at any time. Pagenaud’s memorable finish was overshadowed by a frightening start to the GP as pole-sitter Sebastian Saavedra stalled when the lights went green and was clobbered twice from behind—by Colombian countryman Carlos Munoz and then by Russian rookie Mikhail Aleshin. All three emerged unscathed, but that couldn’t be said for a number of bystanders, including the Mayor of Indianapolis, who was hit in the shoulder by a flying chunk of carbon fiber. More contact later in the race led popular Canadian driver James Hinchcliffe to pull off track and retire after he was struck in the helmet by a front wing endplate from a car he was trailing. Approaching 180mph on the long infield straight headed towards Turn 7, the hit was hard enough to cause a concussion, leading Hinch to sit out Sunday’s Opening Day for Indy 500 practice, if not longer. Safety improvements are expected for next year’s race, including F1-style debris fencing on pit lane. 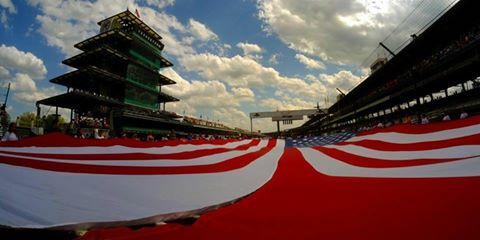 Racing aside, it was a welcome change to see IMS take a bold step to build new fans with a road course that some felt was little more than sacrilege. 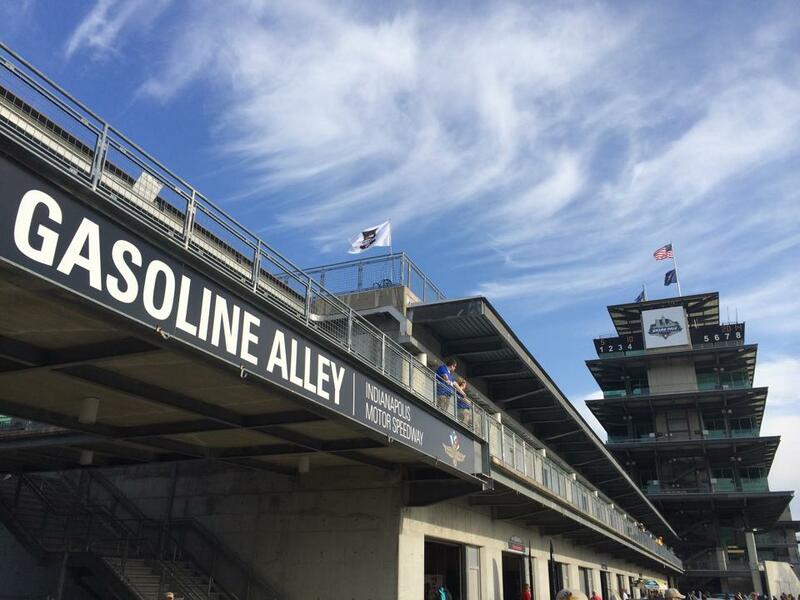 Thankfully, after seeing the positive reaction from curious fans and first-timers, IMS has a new tradition that should stand the test of time. The track plays well on television and if the powers that be (Drivers and Race Control) figure out how to frikken START and RE-START the dang race, some folks would be in the points and not have to spend so much time and money on car repairs. To some, however, this is why they tune in. A venue and a race pleasing on many fronts.